The sunshine of the last days is a blessing for golfers after a long lasting winter! 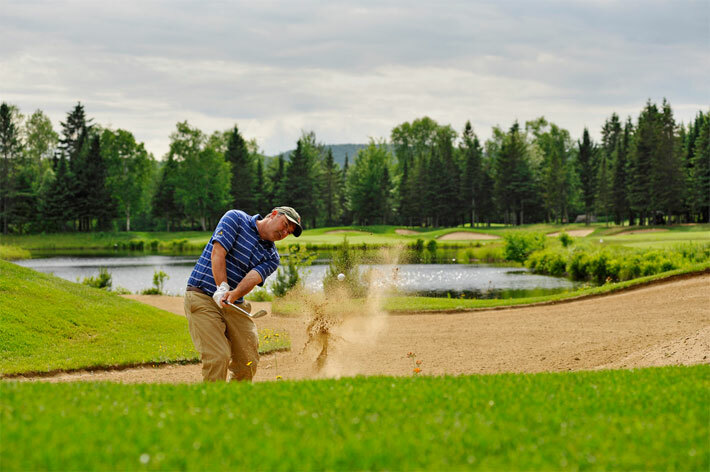 Preparations for the opening of Tremblant golf courses are well on their way and Le Diable is ready to welcome its first golfers as early as tomorrow while Le Géant will open on May 17. A promising season is thus upon us with attractive offers and packages for both Le Diable and Le Géant. Two to four rounds for as little as $64.50 per round with the T-Pack, Spa and Golf combos for only $99 and five lessons including a free round of golf for only for $149 are only an overview of the various promotions planned by Golf Tremblant this season. All sand traps on Le Diable have also been revitalized before the opening while the pro shops have received the new Adidas, AUR and Ashworth collections and Taylormade products to start the season in style. Le Diable is also getting ready to host the Tournée des célébrités on May 24 with Jean Perron, Jean Pagé, Denys Arcand, Mario Lirette and Luc Dupont-Hébert, amongst others, who will mix business with pleasure to support PROCURE and awareness of prostate cancer. Come and play and win one of many door prizes offered throughout the day. Get your golf clubs ready, we’re expecting you at the tee off this season!